ios8 updates, and support for more device resolutions. 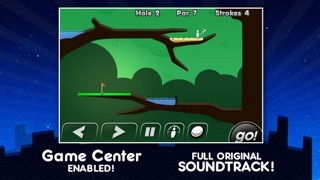 Super Stickman Golf is no ordinary game.. it's actually an award winning physics puzzler! Warning: Once you pick up this game, you may not be able to put it down. You will definitely never play "golf" the same again.. Ever wanted to freeze those pesky water hazards? Ever wanted to stick your shots on walls and ceilings? Ever wanted to stop your shot in mid-air? 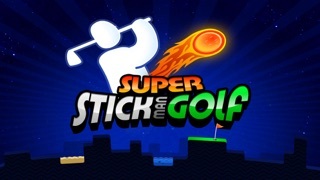 Well now you can… Super Stickman Golf brings to you… the super clubs. - 6 unlockable super clubs! Each super club has a unique ability to make your round a little easier. - Game Center Leaderboards. Join the Stick Golf world tour and see where you stack up. 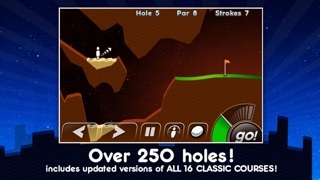 - 261 unique holes, including all the classic courses from Stick Golf 1 plus new 'super' courses. - Retina Display. HD graphics for sweetness that is the high resolution retina display. - Game Center Achievements. Tune up you game with our crazy achievements. - Universal app. Play on any iDevice! - New obstacles. Conveyor belts anyone?? - Complete 8-bit chiptune game soundtrack! - Local and online multiplayer! Well, you asked for it. Enough times, in fact, that we decided to just go ahead and make it. 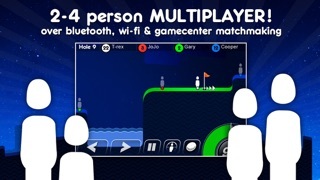 We are happy to announce that Super Stickman Golf will finally arrive on the Android Marketplace September 22! 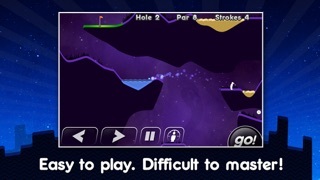 The 'droid version includes all the holes, hazards and heartbreak fans have come to expect from Super Stickman Golf. With over 1 billion strokes taken so far, we are thrilled to bring the challenge to a whole new group of golfers.